Cover dedicated for standard, small KLUS extrusions. Cover with unique properties unparalleled in the market, available only from KLUS Company. It has a very high light transmission rate. We recommend using the HS cover when sealing extrusions. The HS cover in its design is more rigid than the other covers. 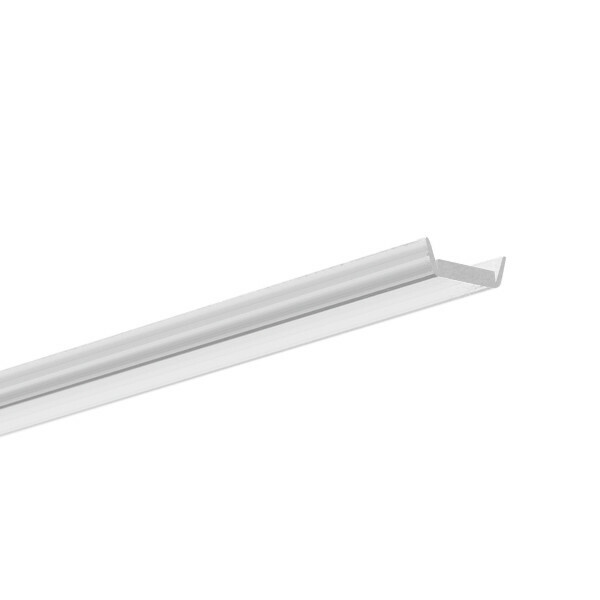 It is ideally suited to build LED luminaries which are exposed to vibrations. They fit tightly into the extrusion. It should be installed "45 degrees" in relation to the housing. HS covers were tested in extreme climatic conditions. Along with other tests, they were exposed to the sun in Florida and Singapore. HS cover can withstand high temperatures 120C/ 248F.